Yes, thank you for the camera! It's neat! I have to say that the gift, so far, this year have been SUPER. 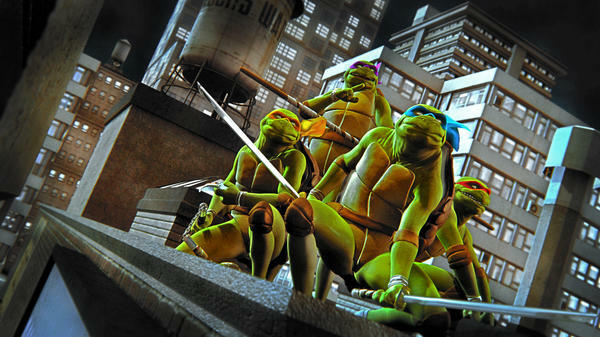 I combined the Toon Cam (works great) and the Ninja Turtles (very generous). A toon cam!! What a great idea! Thanks, zigraphix!!!!! Thanks a lot guys & gals! These freebies are great! But with the last two incredible treats, I just had to have a play, and say a special thank you to Joe and Zi. Thank you Horo, David, and 3dJoji as well. Your gifts are just as wonderful. Thank you all for your generosity! Thanks for the great gifts!!! Thank you JoeQuick and zigraphix - wonderful gifts! Dali, the mutant who flunked Shredder's ninjitsu lessons. 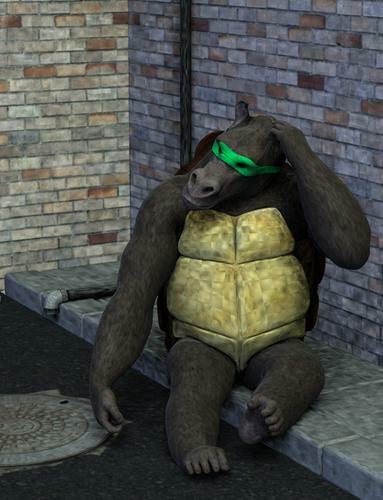 I like the horse and gorilla combo! Thanks for the interest and positive feedback on these guys. They were a real learning experience for me, the lessons from which you'll see reflected in my upcoming commercial products. 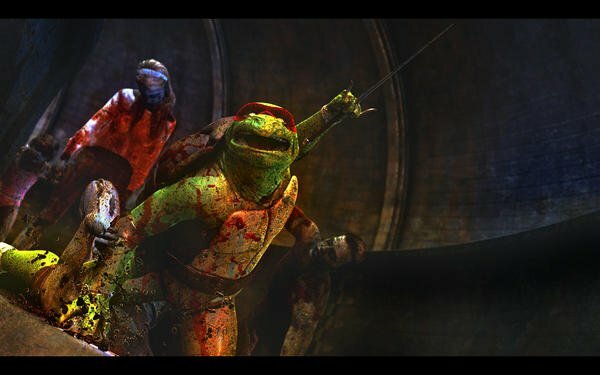 And... Raphael in a desperate battle against Smay's zombie horde. Oooh, fun exciting things! I'm working on mine still, I promise I'm sending it to April tomorrow. Now that I have the toon cam maybe I can do a Hawkeye Initiative render after all! Joy. 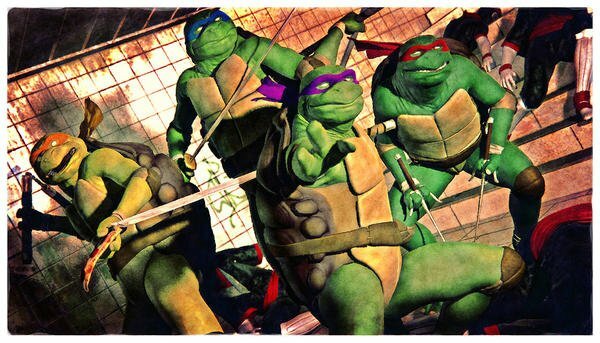 And those are some kickass turtles. The gifts for Day 5 are sweet as candy but without the calories! by our DAZ PA, Light & Shade Devotee, DestinysGarden!!! Hair shaders ... wow! Thank you! So many great things here from our beloved PAs! Thank you, DestinysGarden! I know someone who will love the pink! Going to try it out right away, thanks! Those pics are truly amazing! Were they rendered in DS? And what kind of light set did you use? Edited to add: thanks to all other PAs too, of course!!!!
. . . thanks David and Horo! Thank you 3dJoji, Joequick, zigraphix, and DestinysGarden! 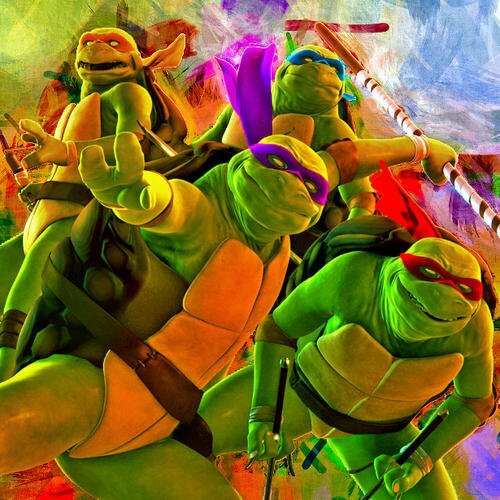 This is all totally awsome!!!! you all are very generous!!! 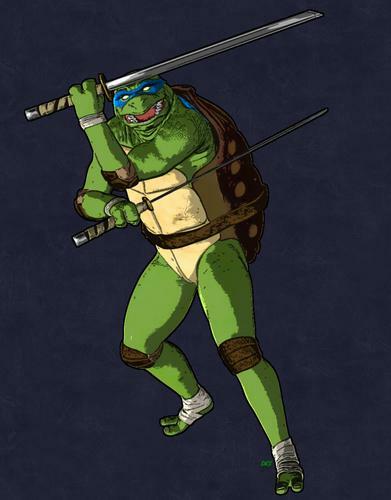 as a poser user has any one been able to get turtle power to work in Poser?? ( I have been scannng the thread but I miss stuff ;) ) bef or I start trying to do so. 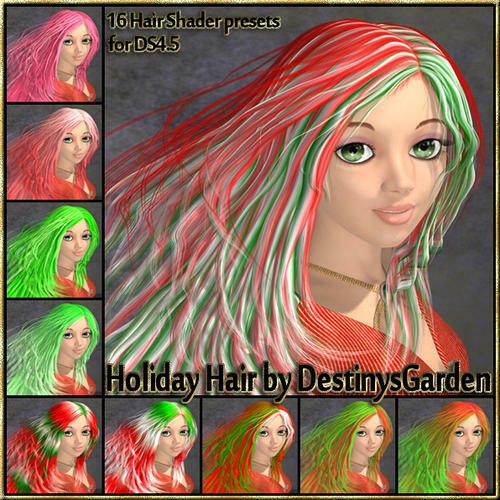 Hair shaders! Thanks so much! 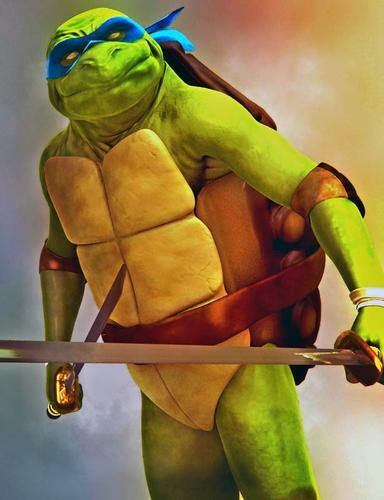 as a poser user has any one been able to get turtle power to work in Poser?? At the moment it is ds only. 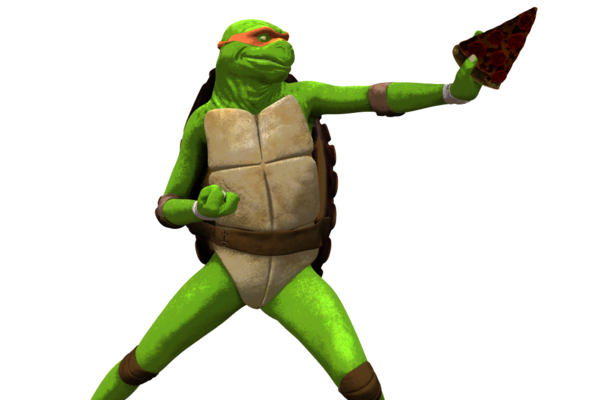 Both shell halves behave strange in Poser. Front shell is an easy thing to fix and update. Back shell has me a little puzzled. I hope to have a fully poser compatible version by the end of the month. 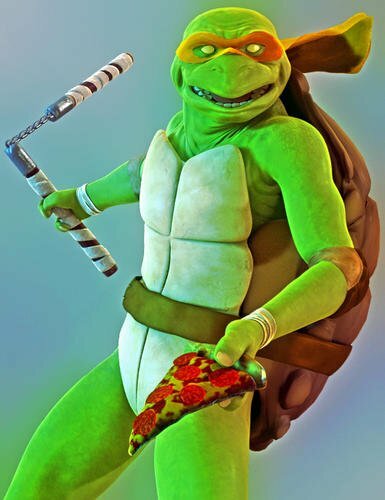 If you do want to experiment with it in poser, convert the shells, clothes and nun chucks into cr2s and the pizza and unrigged weapons to props. Auto conversion based on metadata generates some incompatibility errors. thank you so much for the generous gift! I cannot for the life of me get it to work, though. I've unzipped to the My Library folder and I can't find it when I open DS. Any advice? The shells and props are under "People/Genesis/Clothes" and the base shape is in your Shaping tab.